Home / Posts Tagged "Video Production Guide"
Source Media was asked by leading video producer, lecturer and author Martha Mollison to contribute to the new edition of ‘Producing Videos – A Complete Guide’ through Allen & Unwin. In collaboration with Goorie Vision they wrote the chapter ‘Video for Empowerment’ about running traditional knowledge recording workshops. 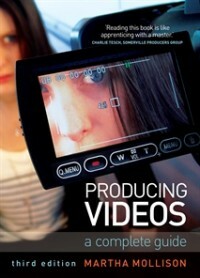 Producing Videos has been called the ‘bible’ of video making and is used throughout Australia as a University textbook. A bestseller over many years, it offers a comprehensive and user friendly guide to all aspects of video production, and is sold worldwide to students, teachers and enthusiasts of digital media technology.